The cryo 35° knife has demonstrated its usefulness as a standard knife for the low temperature sectioning of polymers, rubber, paints, etc. The 35° angle represents a balanced compromise between section quality and durability. 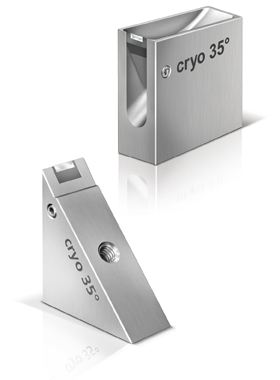 The cryo 35° and cryo 45° knife mounted in the triangular holder is suitable for dry cryosectioning. The cryo 35° and cryo 45° knife mounted in the trough are used for sectioning with fluids such as a DMSO/water mixture. The cryo 45° knife is well suited for routine cryo sectioning. 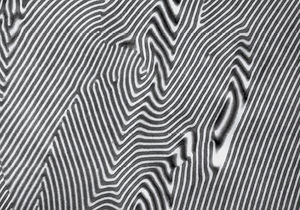 Ronald Walter, BASF Aktiengesellschaft, Polymer Physics, D-67056 Ludwigshafen.